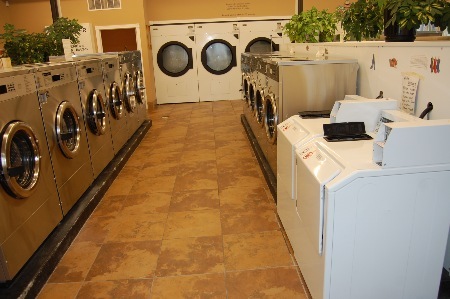 Large comforter sized washers and dryers. 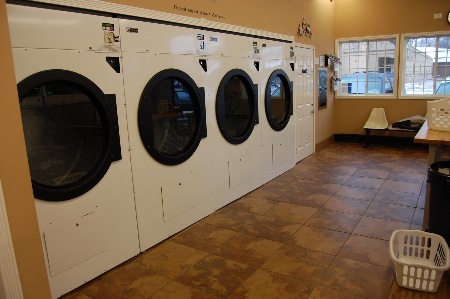 These dryers are perfect for comforters, sleeping bags and large loads. Clean, well lit and comfortable! 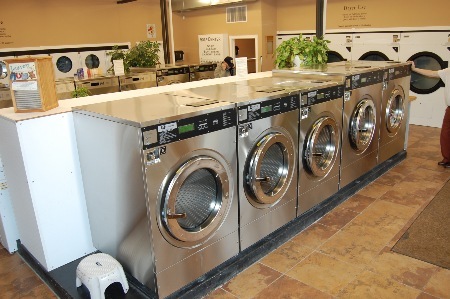 Free Wi-Fi, satellite TV, magazines, snack, soda, soap vending available.